24 hours left for FREE Best Eggs Ever! This week's sale has been extended by a day, since it's a 3 day weekend, and I know many of you are out enjoying the holiday weekend. . . When you treat your hens to 20 ounces, 4 pounds, or 8 pounds of Best Eggs Ever!, you'll get 25% more FREE! . . So, the more you buy, the more you save (who doesn't love a good deal, right?) 20 ounce bags come with 5 ounces FREE 4 pound bags come with 1 pound FREE 8 pound bags come with 2 pounds FREE . . We won't run this sale again this year, so speak now or forever hold yer peace. Head over to the store! Well, it looks like one of my silkies is a rooster. They're both pretty androgynous, and they're both still pretty young, so it's hard to tell. But after seeing one mount a hen…..it can be a pullet with too much testosterone……or it can be an actual rooster. . I'm a fan of Occam's Razor, so I'm going with she is a he. . Your thoughts? My little pretty Grace getting some MitesBGone to keep pests away. I think she's the cutest! What do you say? . . . 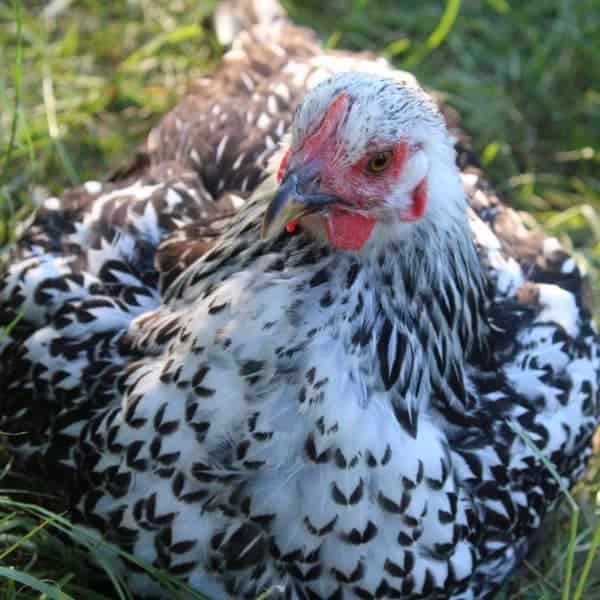 The summer is getting close to ending, but it's still important to make that one last push to keep mites and other pests out of your coop – especially if your flock is molting and their skin is exposed. . . So, this week only, when you treat your hens to the MitesBGone & PestsBGone super bundle (yep, these two herb blends come as a bundle! ), you'll save 15%! It's a great opportunity to stock up on your favorite blends – AND keep your flock healthy! There are tuxedo cats, but is there a tuxedo duck? This little one right here looks like one. If you put a bow on its neck he will look like a jolly maître d'. What do you think?